Foxtel has confirmed Mark Buckman will leave the pay TV giant in December, just 18 months after joining to head up its marketing, customer and retail strategy. Buckman joins Foxtel in June last year in the newly created role of MD, customer and retail, a position that encompasses both sales and marketing functions as well as customer service operations. An experience marketer and agency leader, Buckman is arguably best recognised locally for his four years overseeing media and marketing at Telstra in group and executive-level roles, as well as being CMO at Commonwealth Bank. Buckman left Telstra in July 2014 and relocated to the UK, where he took up several consulting roles as well as a post as chief strategy officer of Accenture Interactive. Since joining Foxtel, Buckman has overseen a major rebrand and repositioning effort designed to help the company regain relevance in the rapidly transforming on-demand TV and video market. In a statement, a Foxtel spokesperson highlighted Buckman’s achievements over the past 18 months and said the group wished him success for the future. 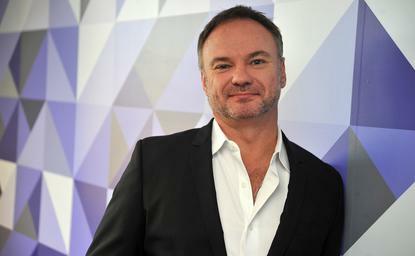 “Foxtel is very sorry that Mark Buckman has decided to move on from Foxtel after 18 months. In that relatively short period Mark has initiated significant change,” the statement read. The spokesperson confirmed Buckman will stay with Foxtel until mid-December but would not comment further on whether the group is now looking for a direct replacement.